Grew Up… with her mother, and never spoke to either her father or his side of the family. An awkward child, Mia’s only real friends were Lilly Mosvcovitz and her cat, Fat Louie. Living… in a refurbished San Francisco firehouse with her single mother, a local artist. Mia attends a local private school where she is a good student, but unpopular and horrible at sports. 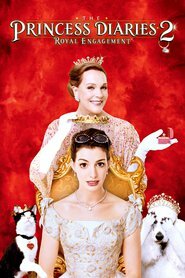 Visiting… the Genovian consulate, where Mia is taking secret princess lessons at her grandmother’s request – her grandmother also happens to be the Queen of Genovia. Interests… rock climbing and her new Mustang. Mia works at a local rock climbing facility to help pay for her new car. It helps that Michael Moscovitz, her best friend’s older brother, is willing to work on her ride free of charge. Relationship Status… majorly crushing on Josh Bryant, a jock whose locker is next to hers at school. Unfortunately, he has a girlfriend and hardly knows she exists. 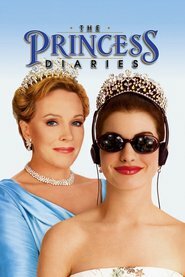 Challenge… becoming the princess that Genovia needs her to be. Mia will have to learn etiquette, politics, Genovian history, and she’ll have to do it all while keeping it a secret. Personality… smart, nice, and responsible. For most of her life, Mia has been satisfied with being quietly eccentric and mostly invisible at school. But, once she learns her true heritage, all eyes are on her. Adjusting to so much attention is tough, especially since she has to also be poised and conscientious. Mia Thermopolis's popularity ranking on CharacTour is #810 out of 5,000+ characters. See our top-ranked characters and read their profiles.